Hi David!! Congrats on your sale! THIS IS BEAUTIFUL - it reminds me of a waterfall in Scotland named The Grey Mare's Tail - it also makes me want to visit and expore this area. Voted. Great job! Congrats on your sale! Wonderful! Congratulations on your sale, David! Spectacular, voted, congrats on your sale! Congratulations on your sale your work is truly amazing and and inspiration. Ricketts Glen Waterfall 3941 Ricketts Glen State Park - Pennsylvania - USA Ricketts Glen State park offers hiking, camping, horseback riding, and hunting. Lake Jean is used for swimming, fishing, canoeing and kayaking. In winter there is cross-country skiing, ice fishing on the lake, and ice climbing on the frozen falls. 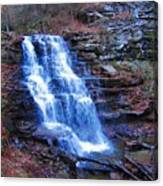 The Glens Area has 22 named waterfalls. The park has four rock formations from the Devonian and Carboniferous periods, and is home to a wide variety of plants and animals. 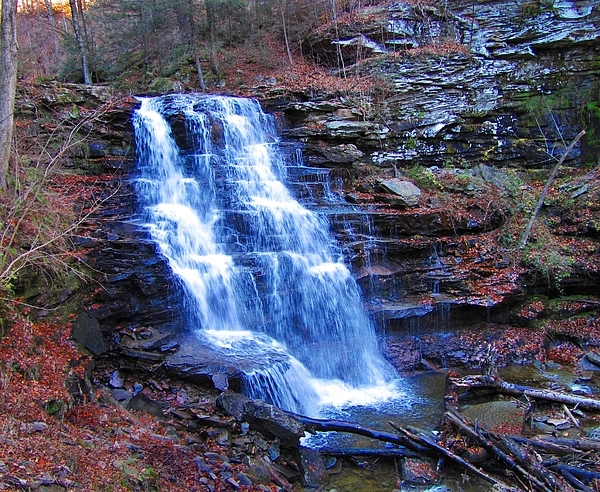 It was named an Important Bird Area by the Pennsylvania Audubon Society and is an Important Mammal Area too. 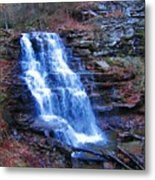 Ricketts Glen State Park was chosen by the Pennsylvania Department of Conservation and Natural Resources as one of the "Must-See Pennsylvania State Parks" Over 50 Ricketts Glen images can be seen in my new book -Dancing Waters-. To view the book click on the Dancing Waters link on my home page.